Kazy's Gourmet Does It Right. Ambiance: 2 out of 4 sushi rolls. Food: 4 out of 4 sushi rolls. Service: 3 out of 4 sushi rolls. 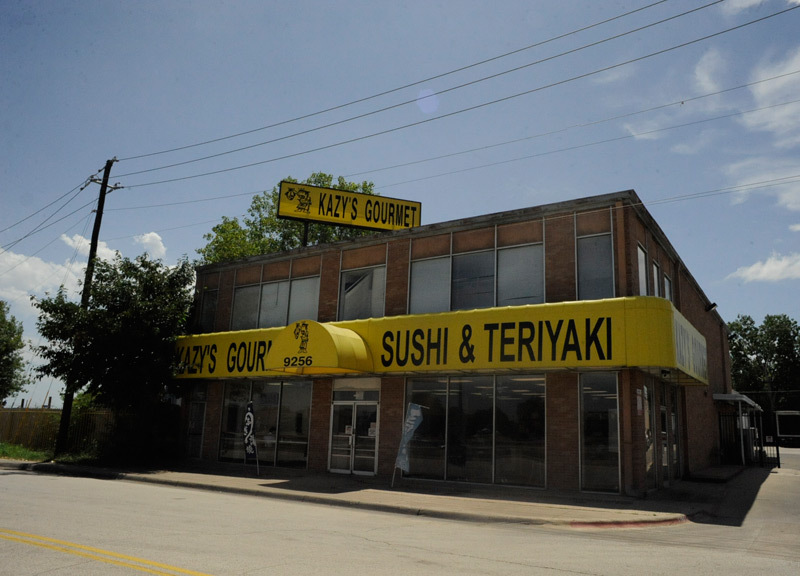 Kazy's Gourmet is located at the corner of Markville and the eastbound access road of 635. It's hardly the glitziest location in the Metroplex, and the building that hosts Kazy's, well, it fits right in to the area. Looks, however, can be deceiving, and Kazy's stands as proof of that fact. Indeed, there's a lot more to this place than meets the eye. It's a grocery store, a seafood supplier and a restaurant all in one. We stopped in for lunch and the total for our meal for two was all of $14. What does that get you? 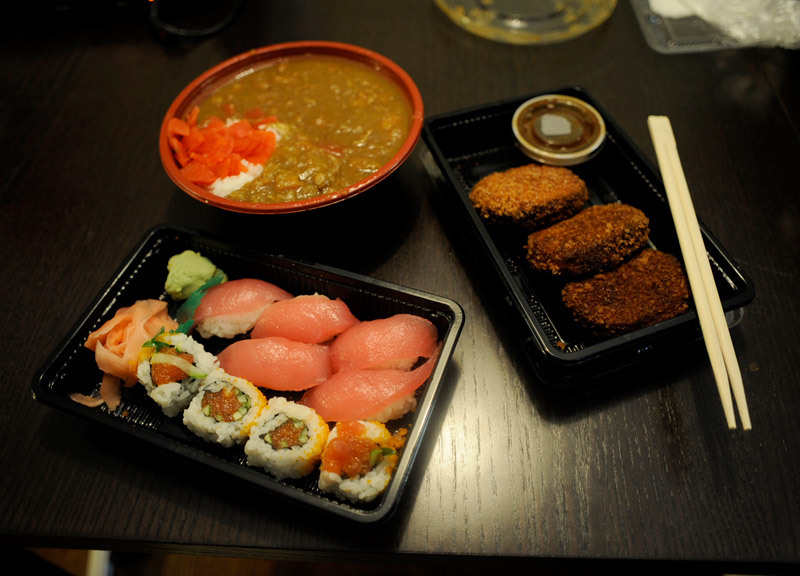 Oh, just a sushi roll, five pieces of sashimi, three croquettes and a bowl of curry rice. Yeah. All that for 14 bucks. You'd be lucky to get a roll of sushi alone at Central Market for $10. Here's the thing, though: It's not like the quality suffers any because of the lower costs. Being a supplier for sushi-grade fish for a lot of local restaurants, Kazy's is sitting on a goldmine of product. I suppose that's why they charge so little — it's direct from the source. Meanwhile, the curry bowl alone is a ton of food, and it's not even four dollars. If you haven't had Japanese-style curry, beware somewhat: It's a little different than Indian curry, a little sweeter. Kazy's variety has shredded pork, along with some carrots and potatoes. And the croquettes — mashed potatoes and vegetables shaped into an elongated hockey puck shape and fried — are also ridiculously great. 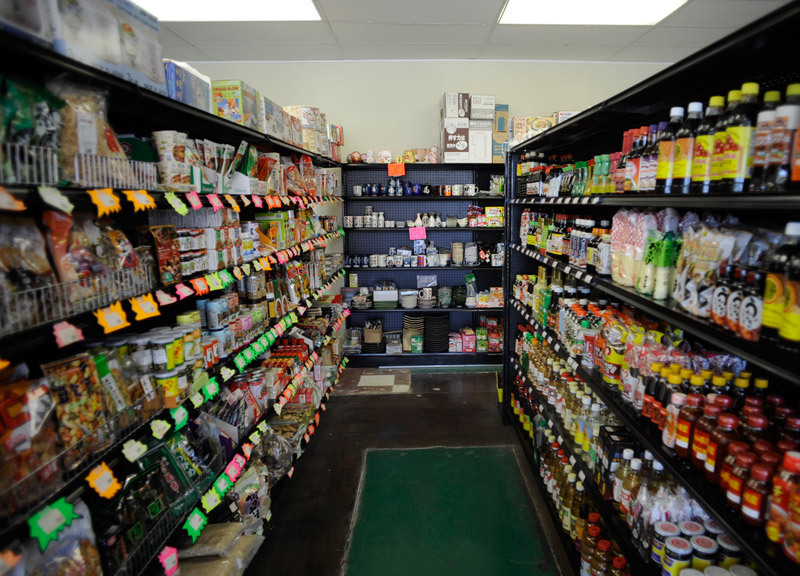 Plus, the staff is super friendly and very helpful, which more than makes up for the under-construction interior. They've been updating the shop and food counter at Kazy's for a while now. It's just about done, though, and the new space looks like it will be really nice. We're going back soon to try out their ramen and more of their sushi. At these prices, we almost feel obligated.